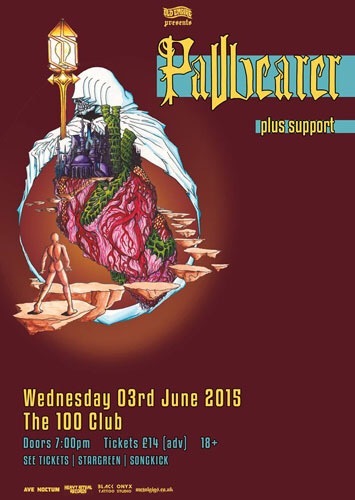 Pallbearer have announced a few club dates to follow their return to the UK for their appearance on 31st May 2015 at this year’s Temples Festival. The Arkansas based doom act will play the Sunday at Temples Festival which is being headlined by Earth along with the likes of Monarch, Voivod, Goatwhore and many more. Tickets for all 3 shows and Temples Festival can be purchased here. Don’t snooze on these, I expect they’ll sell out pretty quickly following their phenomal debut for Profound Lore “Sorrow and Extinction” and their 2014 follow up “Foundations of Burden”.